Twi-hards all over the universe are sharpening their fangs in anticipation of the premiere of the latest Twilight Saga installment, Breaking Dawn: Part 2. Because this is a meaningful time for Twi-hards, we’ve pored over and around the world to find creative and delicious recipes for your celebration. 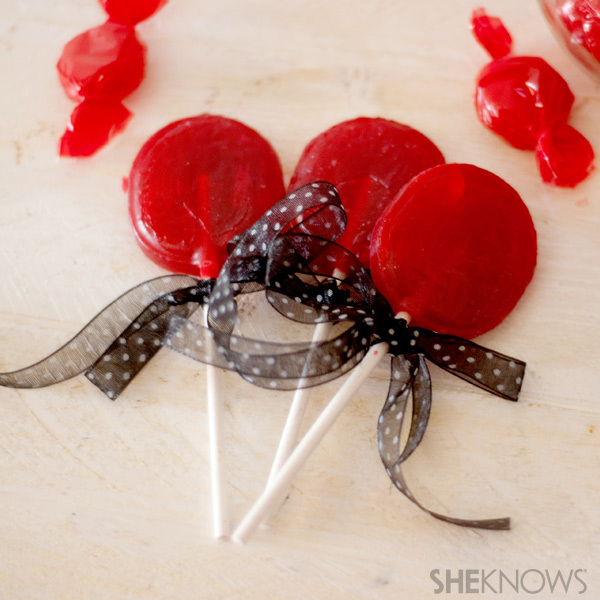 These cute little lollipops are easy to make and dangerously sweet. They’re perfect for a Twilight party! Crush candy, in their packages, with hammer (put between towels). Very lightly, spray sucker molds with corn oil or a nonstick cooking spray. Bake until candy is nearly melted, about five to eight minutes. Remove from oven, insert sticks and allow to cool and harden. When candy is hard remove and enjoy.